One compartment for charging smartphones. Two compartments for watches, wallets, coins, keys, sunglasses, etc. 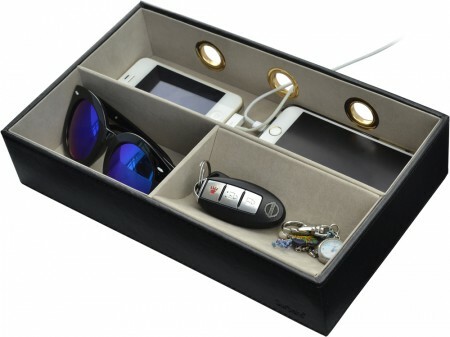 - Two compartments for watches, wallets, Coins, Keys, Sunglasses, etc. - One compartment for charging smartphones. - Interior velvet lined.